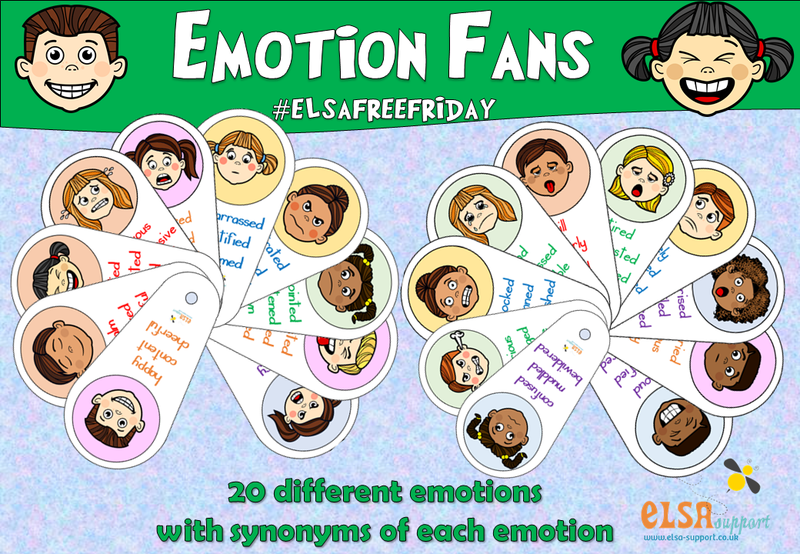 These 20 emotions fans with synonyms for #elsafreefriday. Make sure to download them and use them in your setting. Emotions are just so important to mental health. The more children learn about them the better. These can be used as a way of discussing different emotions, looking at vocabulary and gauging how they are feeling. Included in the pack are 20 different emotion fans which can be printed, laminated and put together with a split pin. Perfect for all age groups. The children aren’t too young so suitable for older children too. The children are also multicultural with different skin colours so perfect for everyone! For more resources you will LOVE!